This past weekend, we had the opportunity to volunteer at the 2017 State Summer Games held at UNH by Special Olympics New Hampshire, whose mission is to provide training and athletic competition events in a variety of Olympic-esque sports for children and adults, giving them the opportunity to play, learn, and show off their impressive skills to friends and family. So, why exactly does our Catchfire Crew volunteer? Did you know that volunteering reduces stress, boosts your mood, and actually strengthens your immune system (studies even show that volunteering is more beneficial to one’s health than exercising and eating well!)? Not only does volunteering help us feel good both physically and mentally, but it’s a way to switch up our daily routines. Through volunteering, we learn about leadership, teamwork, and, in this particular case, that bocce ball is not an easy sport to play. It also gives us a way to have a look at things with a new perspective – you learn about your community, you learn about your teammates, and you learn about yourself. Besides, there’s no better way to gain experience than to actually be a part of that experience. We love our small, but close-knit community of the seacoast, and we very often find ourselves inspired and moved by its ability to come together. Any chance that we get to be able to be a part of something that is bigger than ourselves and support those around us is one we jump to take. 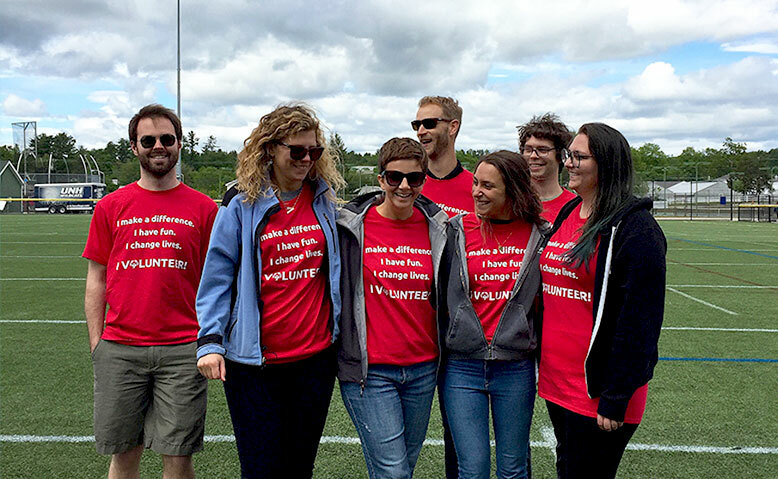 When you volunteer, not only are you helping your community to grow – but you’re growing yourself, too. Drew, our very own Strategy Director and Owner, is a member on the Special Olympics Board of Directors. “The Special Olympics of NH is made up of an incredible group of hardworking employees, volunteers, and athletes,” he says. “I am lucky to be a part of such a tremendous organization.” Volunteering might make an impact on one person, which could, in turn, make an impact on an entire family, or a school system, or even the town. When the cause is personally meaningful, that’s a powerful contribution. Not only do we get to experience bonding with some new faces, but we get to spend time with our own team, as well. It was genuinely special for the entire team at Catchfire to be involved and witness to the magic of SONH first hand together. What local events are you volunteering for in and around the seacoast this summer? Share with us!